The Golf Club at Eagle Pointe is a community owned 18 Hole Championship Golf Course nestled in the hills of beautiful Southern Indiana and just minutes from the shores of Lake Monroe. 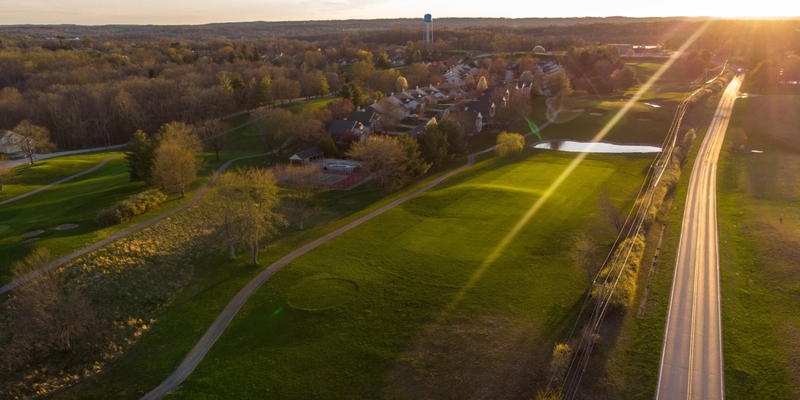 Often referred to as 'the best kept secret' within the State of Indiana's vast golfing community, The Golf Club at Eagle Pointe challenges golfers of varying skill sets with its 6,700 yard, par 71 layout. The course is home to a pair of picturesque, cascading waterfalls and with our trademark rolling hills and unique setting, it's easy to see why local and area golfers alike enjoy the test presented by our first-rate golfing facility. 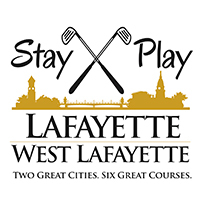 With a licensed Golf Professional on staff, register NOW for lessons and take your game to the next level. Instructions by appointment only. While you're at the Pro Shop, take full advantage of our unrivaled selection of Nike, Adidas, Under Armor, Columbia and Greg Norman apparel as well as golf equipment from trusted names like Callaway, Titleist, Ping and more! Contact The Golf Club at Eagle Pointe at 812-824-4040 for more information and details on holding a golf outing at the course. 'Birdies' is our rustic 4 bedroom condo on site that rents year round and sleeps up to 11. The Pub & Bistro at Eagle Pointe is our state of the art dining and bar facility housed inside our Clubhouse. Enjoy classic 'pub fare' with a Southern Indiana twist; Everything from our signature tenderloins and burgers to hand cut steaks and smoked pulled pork - our menu highlights and accentuates the best in modern eats and classic favorites. The new look Pub boasts one of the biggest, highest definition TVs in the area and a brand-new draft system with 10 beers on tap. This profile was last updated on 02/19/2019 and has been viewed 489 times.